I have dealt with both halves of the spectrum. The first energy vampire I encountered was a guy who began his spiritual journey as a natural energy healer. He never formally was trained or exchanged for a reiki attunement, but instead irresponsibly began healing others. He fell into the wrong crowd and found himself in bed with a conscious energy vampire. Energy vampires do not ever seek to make divine connections with GOD. This is how our energy becomes infinite; by connecting with all that is infinite and pure. However, they live off the salvaged life force of others and sometimes get together to form covens. In 2014 I was under attack by two vampire covens at the same time. Since I am a creative powerhouse I was like a beacon. I was gullible, naive and didn't want to defend myself. But the power of GOD will always surmount any and all obstacles that oppose our divine mission. I was given the gift of divine protection and shown that prayer works when coupled with obedience. Below I will compare the characteristics of trauma victims with energy vampires. Seek to find LOVE outside themselves, attempting to fill voids of neglect or past abuse. They just want LOVE. Knowingly have no intentions of healing and manipulate you into giving them your energy: persuasion, force, intimidation and trickery. Sometimes you feel drained after consoling a dear friend. They are vibrating on the lower chakras, most often the root or sacral. The trauma has stunted their growth and the rising of their kundalini energy. They tend to repeat cycles that recreate their abuse. Having to connect with this can be draining without doing any type of breath work or energy healing on oneself before and after. You may feel exhausted without connecting to the source of all creation to produce your own energy. Often are misguided and it may take them time to open up to the infinite LOVE of the universe. Know what's up and avoid divine LOVE and purification at all costs. The quickest way to discover the truth about a person's intentions is to pray to the creator/GOD/the most high(whatever you call GOD) and ask for the absolute truth about __________ to be revealed. Do this in the midst of a troublesome situation. Pray it mentally if you have to. You will see results, because the universe is always watching and waiting to help. Below you will find different techniques to defend yourself against energy vampires. Since you are being attacked on an energetic level, then you will defend yourself in the same way. It begins always with the breath. Begin to connect a tube of white light from the core of mother earth to higher dimensions and beyond. Inhale this white light into your heart chakra and exhale it through out your body. Inhale once more and exhale it into a tube surrounding your entire auric field. Inhale again and exhale the light into a protective cosmic egg. Hold this meditation with your breath work until the attack has stopped or you have returned to peace. Return to it with consistence if necessary. Ask them to form a protective shell around you that only permits the highest good. You may also ask for this from the most high. This simple technique of prayer can also guide you to other things you can use for protection. It may also lead you to discontinue communication with certain people. Since the prayer is so vast, be open to how the universe will impart guidance and follow it with obedience when you feel it in your heart. The Violet flame is an incredibly powerful tool used in healing that transmutes all things to the highest vibration. You can visualize it surrounding your body and aura to heal yourself. You can send it to others to heal them. You can send it across time to heal your past or your future. The beautiful thing about the violet flame is that we never truly are wielding it, but instead calling on it. If ever it does not come then you know you do not have the proper intention. It can only be done with a pure heart and pure intent. Visualize the violet flame being sent to those whom you feel are attacking you. Continue to do so and allow the flame to spread into their surroundings. With your will, you may intend that a person be encased and purified by the violet flame whenever they think of you. The violet flame does not ever hurt, but always heals. The final and most innate form of energetic defense is raising ones vibration by radiating LOVE. Reptilians and energy vampires CAN NOT thrive on higher vibrations and in the presence of pure LOVE. Its like bug repellent. Begin by inhaling through the cosmic tube that tethers your body to the cosmos. Visualize it as a color from any chakra above the sacral. Begin to inhale this energy into your heart chakra and radiate it. You are consciously raising your vibration and providing protection at the same time. Continue to do this and you will achieve a nirvana like state of peace. This exercise can be used to shift your consciousness as well. These exercises can be used against the common energy vampire and coven. Always remember, you are infinite and can do anything. For deeper evils of this dimensions, then ritual is suggested around the waning moon. If you have been consistent with the above techniques and are still having trouble then I can provide rituals that cater to your specific situation. You may contact me at HouieaLOVE@gmail.com after you've done these things consistently for at least a month. What about our beloved trauma survivors? It is beneficial to set healthy boundaries for your own well being. It is also beneficial to check yourself if you're overstepping the boundaries of others or over indulging in someone else's company/energy. If you ever find yourself consistently over helping someone then ask yourself if you really are helping or just coddling. Becoming an enabler by repeatedly giving the same help does not help you or them. It happens to those that have the most nurturing hearts, but it takes courage to break the cycle. You must know that the universe has given them this situation to overcome. They have everything they need to do so. If you step in and try to be their hero then you are crippling them further. Give them the tools to help themselves. They are meant to learn something. Encourage and inspire them to reaffirm who they are, an unlimited being. You can also ask questions to make them aware of their internal processing. If you ask enough questions people usually figure things out for themselves. As for overstepping ones boundaries, this usually happens to very emotional people--when the lines blur between who's feeling what and when. If you have lost your sense of self during an exchange for any duration, then its time to step back to ground and center. If you feel so pinned down by the weight of the worlds burdens then turn your burdens over to the universe. Become aware of the weight and simply give them over with this prayer "GOD I surrender this situation over to you." Always remember that your first and most resourceful lifeline is the universe. Some more practical techniques for spiritual defense are detailed below. Crystals have been here before us. They grew and still grow with mother earth. I like to think of them as her different cells that have unique jobs/properties. 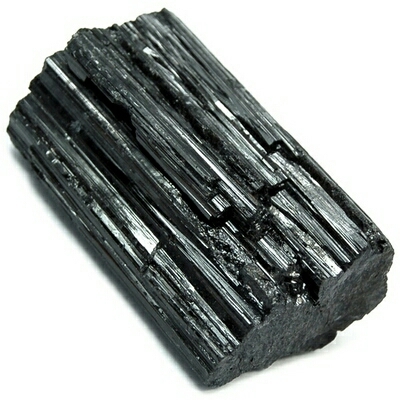 For this technique we'll be using black tourmaline. It's a great Crystal for protection. For optimal use, wash it with blessed salt water(Holy water) and charge it with the intention to protect you against all energy vampires. To heighten it's powers even more, you can consecrate it by the elements in a holy ritual. For protection during dreams or in bed, create a grid out of 6 small pieces. Create the shape of a 2 dimensional Merkaba(Star of David). Sprinkle a little garlic on top, place it between your mattress and sleep well beloved. You may also say a prayer, asking to become lucid during an attack in your dreams so you can use some of the techniques above or simply ask the divine to protect you in whatever way works best. Here's a simple uncrossing bath that caters specifically to vamps. Gather enough of each ingredient to bathe for 7 days straight. If the problem persists then continue until it washes away. Pray over the waters, blessing them and asking GOD to send a wave to wash all enemies away from your life.